The Philips ShoqBox SB7200 Bluetooth Wireless Speaker shows how this genre of speakers is evolving. 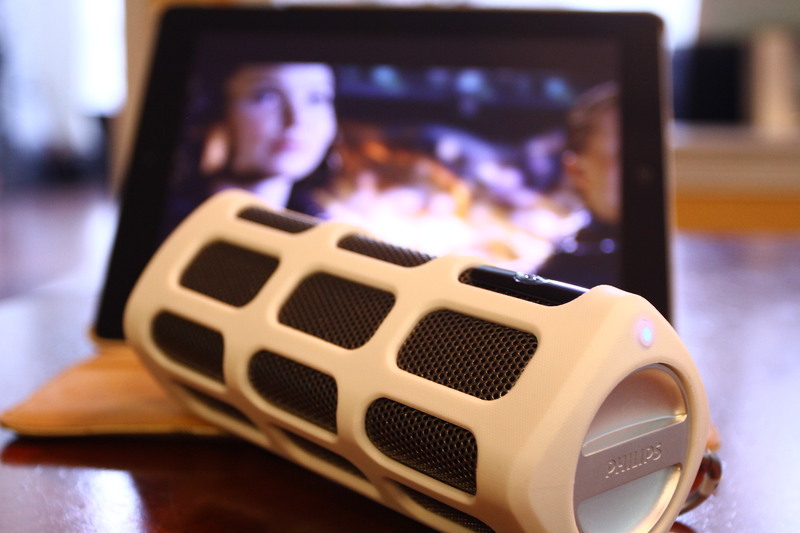 The original Bluetooth portable speakers were designed for indoor use. Now they are made durable enough for outdoor entertainment as well. Pairing the speaker to my devices was a breeze. The speaker initially asks you to choose a language, then informs you that it’s ready for pairing. There is a confirmation tone once your device has been paired. So far, this has been the easiest speaker for me to pair with. Even my second gen iPod Touch (though it states from 3rd gen on) and my old LG Optimus phone paired with it in seconds, and I sometimes have an issue pairing them with newer devices. I tested the ShoqBox for sound quality of music and video playback as well as voice on the speakerphone on both the speaker and receiver ends. I listened to diversified sources to test the frequency range, and noise ratio of the speakers. 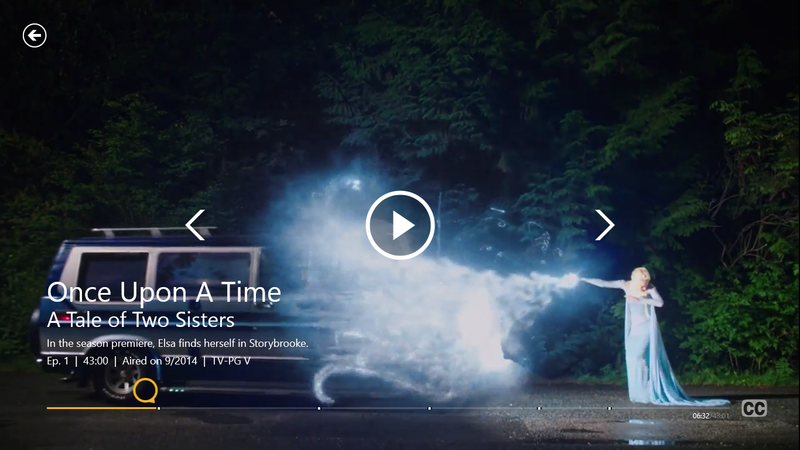 The content came from files and streaming sources from iPod Touch, iPad and mobile phone. The MP3′s bit rates ranged from 128 – 256 kbps. The volume is adjusted with a large dial on the top or the side, depending on how you place it on a surface. If your mobile device is connected via cable, you must control the volume from your device. If you press the power button twice, you can pause and skip a track forward or reverse with the swipe of your hand over a sensor on the speaker. This eliminates fumbling for control buttons. You should only use the included power cable to charge the speaker. I accidentally grabbed my phone charger and it took twice as long to charge it half way. You’ll notice the power button flashing red and blue if this happens. I intentionally dropped the ShoqBox from three feet, which is about the height of a table or the distance from your hand to the floor/ground without blemishes or sound quality issues. I also splashed it with water without problems. This little speaker handled everything I threw at it. I played classical, jazz, new age, R&B, pop, hip hop, and reggae. Starting with the mid-range, it sounded a bit muddled, but this is typical for many speakers this size. The highs weren’t too sharp, and the bass, while not tight, is deep and would satisfy most. The two drivers deliver 4-watts per channel, making the volume quite impressive. I cranked up the source and the speakers to maximum, and I walked around a 5,000 square foot house with an open floor plan with no other sounds present. I could hear the music playing everywhere through open doors, except for some remote spots. However, there was a little distortion at the highest level depending on the content. Turning it down just a notch made a difference. The volume was higher while using Bluetooth vs. being connected with a cable. Happily, there was very little noise for a Bluetooth speaker. This was fantastic using outside while dining or entertaining. 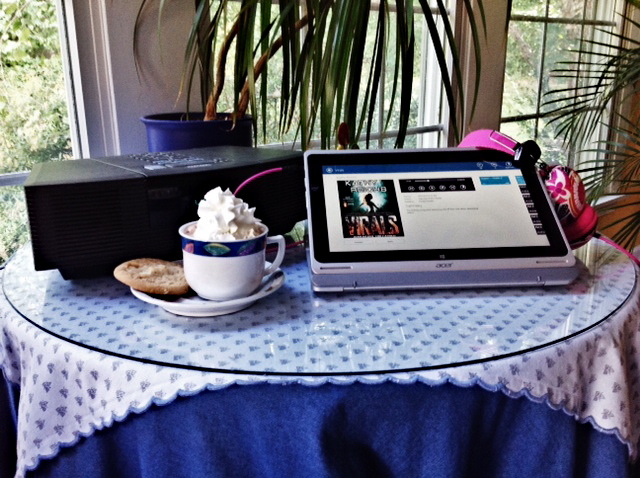 I chose my playlist and enjoyed the music all afternoon and evening. Having it stand vertically used a smaller footprint on my table. It was also great poolside and at the beach, and was affected by sand or water. The test playlist is below. However, I played other music for hours without listing the songs. Playing the volume at half the loudness gave me about eight hours of listening time. The Philips ShoqBox can be used horizontally (for better L-R stereo sound) as a sound bar with your laptop, tablet or phone. 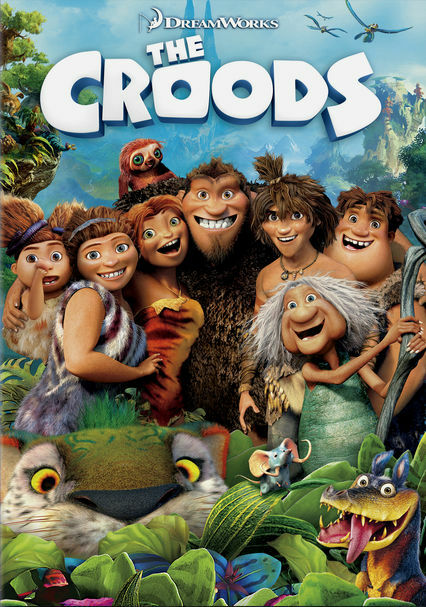 It allowed me to really enjoy watching movies on my mobile devices. Considering the drivers are so close to each other, there is a nice bit of stereo separation with enough ambience to create simulated surround sound depending on how the audio was mixed. My gaming adventures were also taken to another level thanks to the ShoqBox. I was in the zone when playing Angry Birds, Blue Skies, Cut the Rope, Tap Tap Revenge 3, and Touch Sports Tennis. This will really enhance your gaming experience without feeling bound to headphones or earbuds. I had someone call my cell from a landline and had a conversation. The voices were loud, but somewhat muddled over the speaker. The noise-cancellation did a great job on the other end, allowing a good sound listening from the landline. The sound was not at tinny like from the speakerphone of many mobile phones. The Philips ShoqBox SB7200 Bluetooth Wireless Speaker comes in black, white, purple, and green, and has a rubberized exterior. It’s fantastic for kids, teens, and adults for both indoor and outdoor use, and is great for travel or at home. It has a speakerphone for higher quality conference calls. 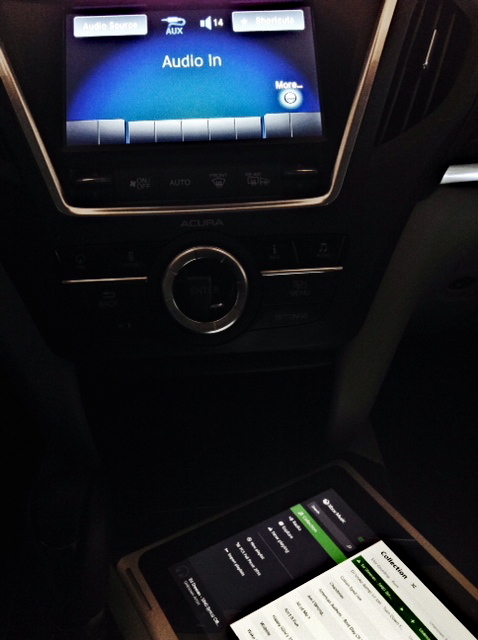 The design allows for easy volume and selection control, and it’s loud. Take it to the beach or camping, use it around the pool, in the backyard hanging from a market umbrella with a carabiner clip, in a hotel room, for business conference calls, or clip it on your belt for trekking or mountain climbing. Playing at lower volumes left me with a half full battery after nine hours. The bass isn’t tight, and the mid-range is a bit muddled, so it’s not for audiophiles. A couple of other colors would be nice. Playing at full volume only gave me 4 hours of use. This is a good choice for multiple uses, especially outdoors. TIP: ShoqBox SB7200 can be used in a car for those without a built-in Bluetooth connection, but this is better for city driving (highway driving is too loud). Also, if you have two ShoqBox speakers, you can use them together for great stereo separation, plus get better coverage/louder volume in larger spaces. I rate the Philips ShoqBox SB7200 Bluetooth Wireless Speaker 4.1 out of 5. Philips has provided me with this complimentary speaker for the purpose of a review. While it has NOT influenced this review, I believe in full disclosure. We invest a good amount into our smart phones, so we should properly protect them. Snugg sells cases and pouches for smart phones, plus iPads and other tablets, the Kindle, the iPod Touch, MacBook Air, and they have Nano accessories. I was recently sent a case of my choice to test out. Snugg offers their cases in many colors and materials, i.e. PC, leather, suede, silicone and bamboo. There are the most choices for the iPhone 5. 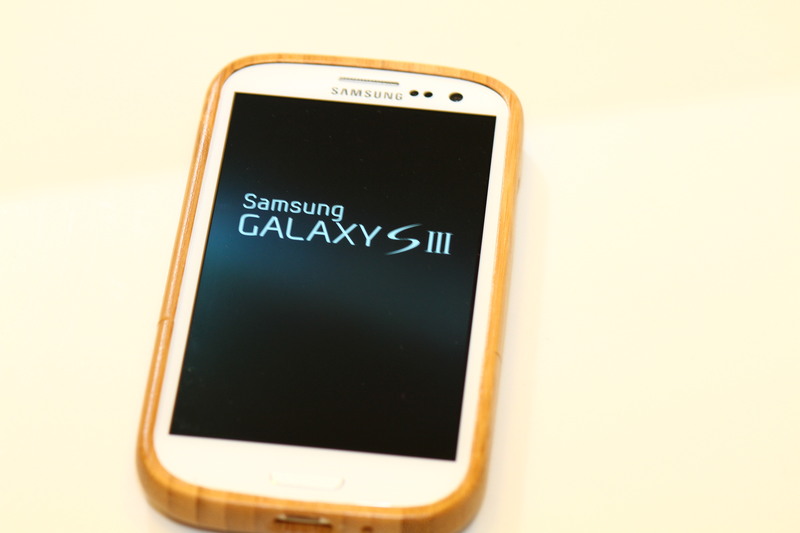 I choose the bamboo wood case for my Samsung Galaxy S3 because I like the feel of a natural material, and how it looked surrounding the white front. This case is made of sustainable wood, and the cut-outs are precisely placed around the power button, volume rocker, USB port, camera lens, etc. The interior is lined with black velvet to prevent scratching. This is definitely a quality product. It’s easy to slide into place, putting the top portion on first. The bottom section slides on and locks into place. It indeed fits snugly and will not separate no matter how hard you try to pull it apart. It feels secure in the hand, even if it’s wet. I intentionally dropped my phone from three and five feet to test how it lands. These are about the distances where you would have it in your hand with your arm down or up near your ear when the phone might slip and fall. The case stayed intact, prevented chipping from the sides and scratches from the back, and prevented the glass from cracking. Removing the case was puzzling at first. Since I had it on for a few days before removing it, I had forgotten how it snapped into place. There are no instructions, so I contacted customer service via the chat option. The rep was friendly, and told me to push down on the bottom, while pulling out. That didn’t work, but then I remembered how it connected, and inserted a credit card in the slit where it connects and pushed down on it while sliding the bottom away. Voilà! Overall, this Snugg case offers good protection in a slim-fitting, attractive shell. I love the bamboo wood case, and don’t plan on taking it off any time soon. If you like a simpler, streamline look, and a non-slip case that doesn’t add bulk or much weight, this brand might be right for you. 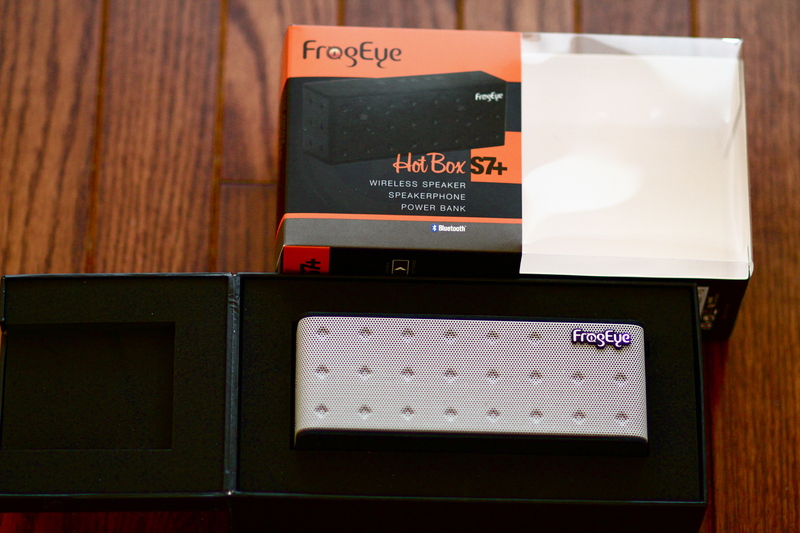 FrogEye is a new company that has just introduced an awesome line of lifestyle products. 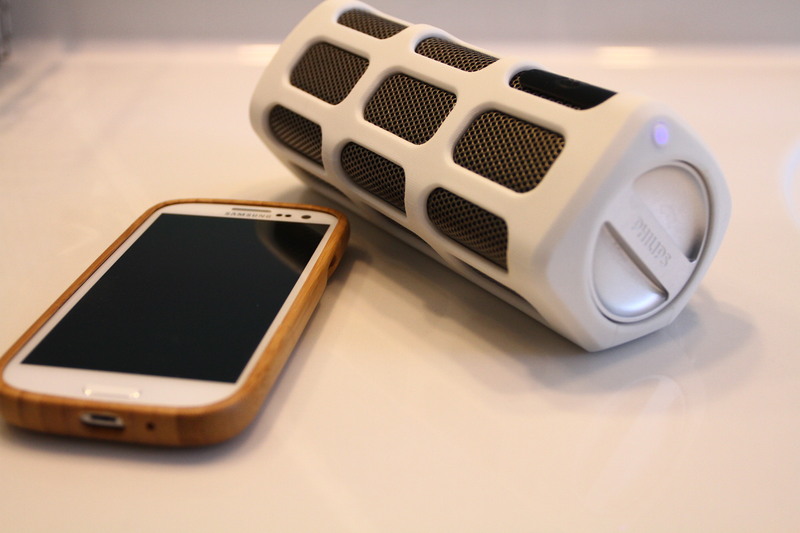 The HotBox S7+ is one of their Bluetooth speakers. Like their S6 model, it has a noise-cancelling microphone to use as a speakerphone, but it also has an integrated power bank to charge mobile phones. The packaging is of premium grade materials. Heavy stock cardboard houses what looks to be compressed foam board that cradles the speaker. The external packaging is asymmetrical, allowing the product to peek through the clear plastic on the right side. The accessories include a micro USB cable, a 3.5 mm stereo cable to connect to non-Bluetooth devices, and a water-resistant carrying pouch. There’s also a user guide, which in these days of online manuals is not a given. Right off the bat I had high expectations due to their marketing. So far, I’ve been impressed. Let’s see if this speaker can live up to its branding. Pairing was quick and easy to a 3rd gen iPad and LG phone. It took a minute to pair a six-year old iMac. A 2nd gen iPod Touch and an iPad 2 needed several attempts before pairing was possible. Re-connecting was easy for all except the iPad 2, which seems to have had a general issue with Bluetooth. I tested sound quality of music and video playback as well as voice on the speakerphone on both the speaker and receiver ends. I listened to diversified sources to test the frequency range, and noise ratio of the speakers. The content came from files on my iPad, streaming sources from iPad apps, and streaming files via my iMac. 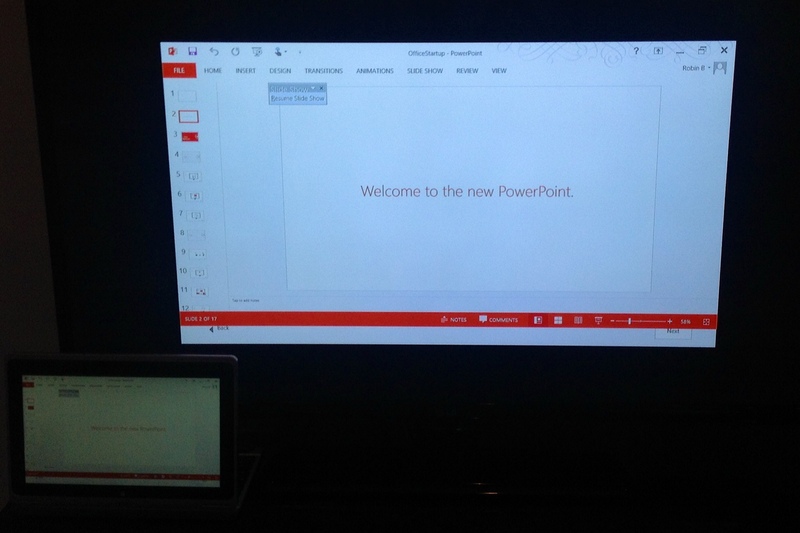 I also connected the HotBox S7+ to a Toshiba laptop with the included cable. The MP3’s bit rates ranged from 128 – 256 kbps. This little speaker handled everything I threw at it. I played classical, jazz, new age, R&B, pop, rock, hip hop, reggae, opera, and new wave (county & western from a video source). Starting with the mid-range that usually sounds muddled from most speakers this size, the HotBox S7+’s was natural and clear. The highs weren’t too sharp, and the bass was tight, though I could’ve used just a little more, but that’s usually at the sacrifice of the mid-range at this price ($199 at Amazon). The test playlist is below. The two drivers deliver 3-watts per channel, making the volume quite impressive. I cranked up the source and the speakers to their maximum, and I walked around a 5,000 square foot house with an open floor plan with no other sounds present. I could hear the music playing everywhere through open doors, except for some spots upstairs. There wasn’t even distortion at that level. The volume is higher while using Bluetooth vs. while connected with a cable. Happily, there was very little noise, especially for a Bluetooth speaker. The HotBox S7+ allowed me to really enjoy watching movies on my iPad and mobile phone. There isn’t a lot of stereo separation since the drivers are so close to each other, but there was enough ambience created to fully immerse me in whatever I was viewing. My adventures were also taken to another level thanks to the HotBox S7+. How could I ever go back to listening to my iPads’s speakers? Asphalt4, Temple Run, Real Soccer 12, and Rock Band were played with much more enthusiasm. I called my cell from my landline and had a conversation with family members. Their voices were loud and clear over the speaker. The noise-cancellation did a great job on the other end, allowing an equally amazing sound listen on the landline. The only difference was the volume was a bit lower, but not at all hollow or tinny sounding like from the speakerphone from mobile phones. This can definitely be used for business conference calls. The HotBox S7+ can charge mobile devices. After about seven hours of playing music and video, I was still able to charge my phone to 50% in a couple of hours. I think this is great as an add-on feature, and is pretty good in a pinch, but I wouldn’t rely on fully charging devices if you’ve use the speakers for a few hours. 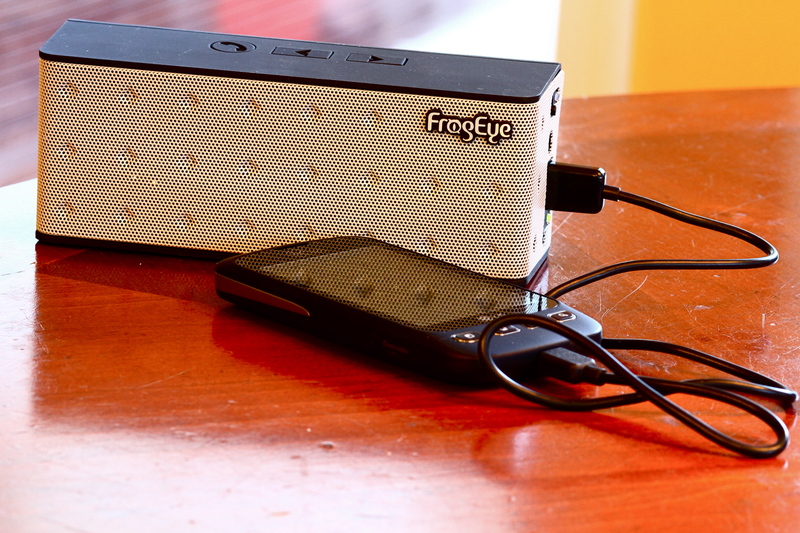 FrogEye sells a standalone power bank dedicated strictly to charging devices. I’ll review that another time. The HotBox S7+ speaker comes in seven different colors, suitable for all lifestyles. It’s made from high quality materials, comes with good accessories, and in outstanding packaging. 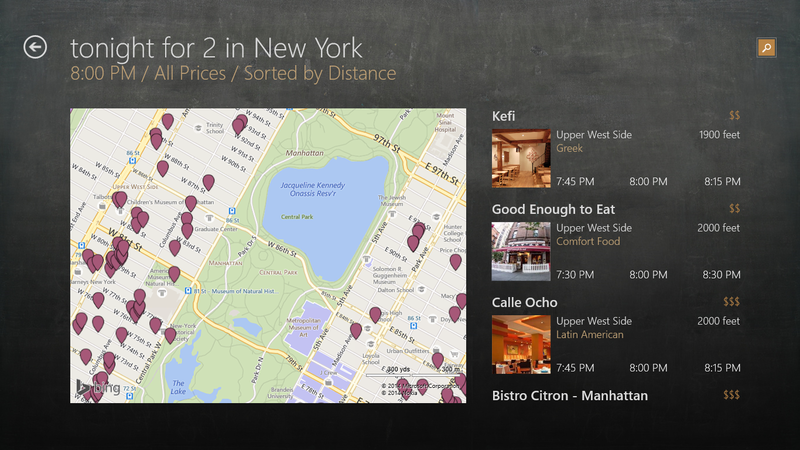 It’s fantastic for kids, teens, and adults for both personal and business use, and great for travel or at home. 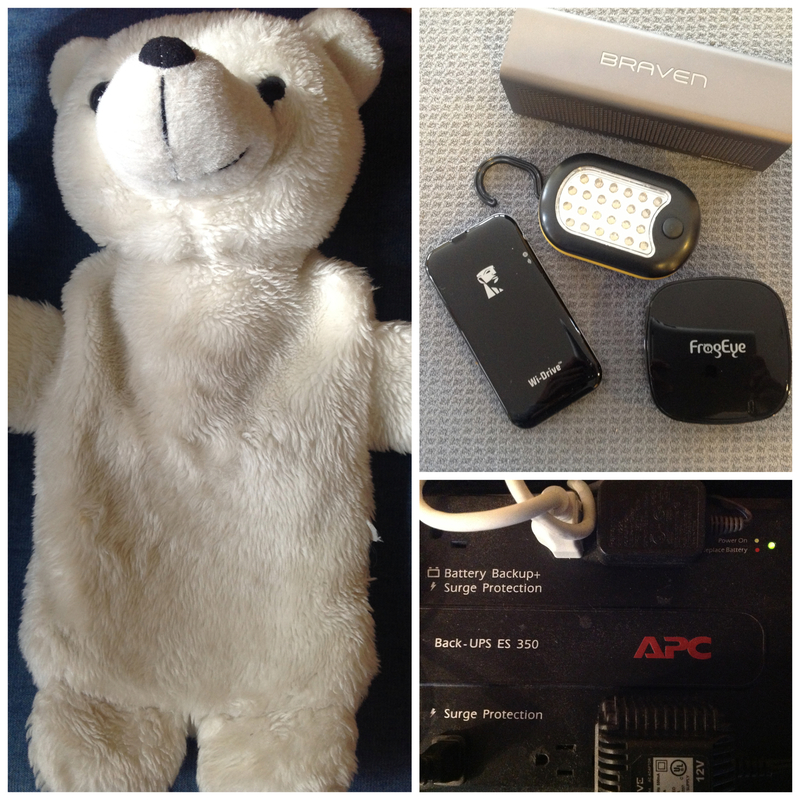 It has a speakerphone and a power bank, and can be used wired and wirelessly. The design is sleek and it has large control buttons on top. It’s loud, and small enough for traveling. Best of all, the sound quality is amazing! The bass is tight, but a little light, yet about on par with other speakers of this size. Pairing can be frustrating on a few devices. 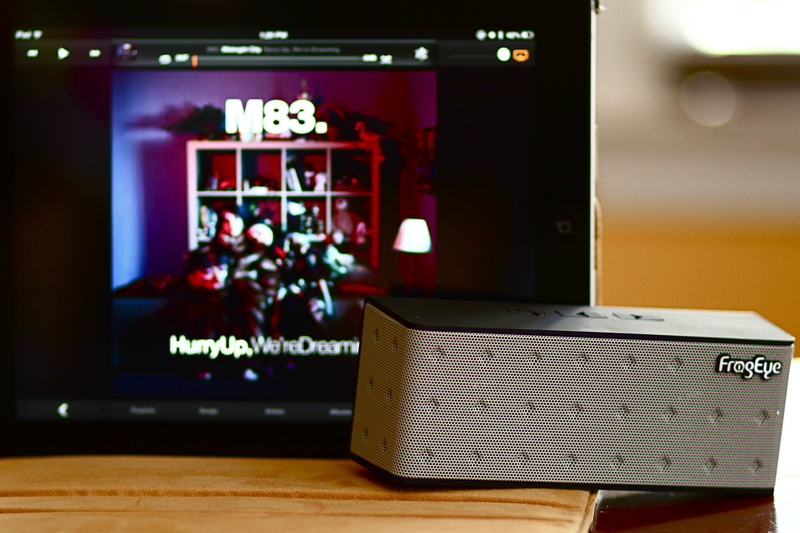 I prefer the sound quality of the HotBox over the JamBox (3.8) and Braven (4.3) wireless speakers, because it has a cleaner and more natural sound. TIP: the HotBox can be used in a car for those without a Bluetooth connection. This is definitely my go-to mobile speaker because of its big hi-fi sound. 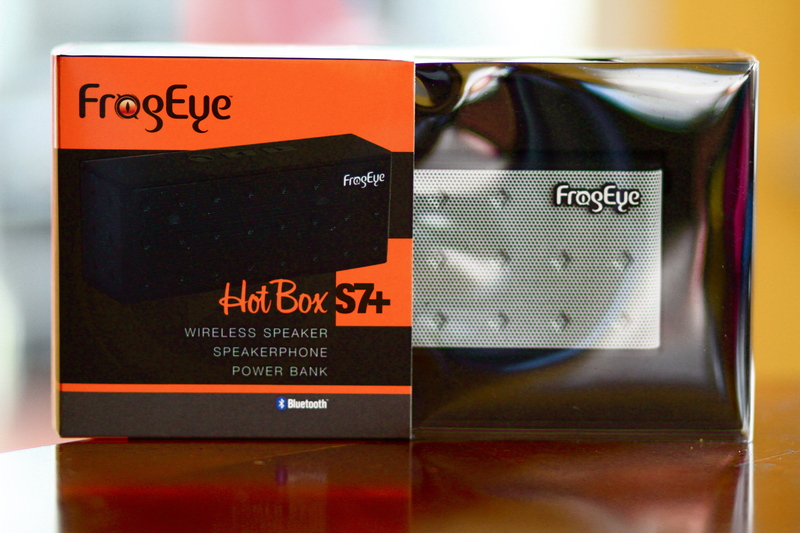 I rate the FrogEye HotBox S7+ wireless speaker 4.3 out of 5. 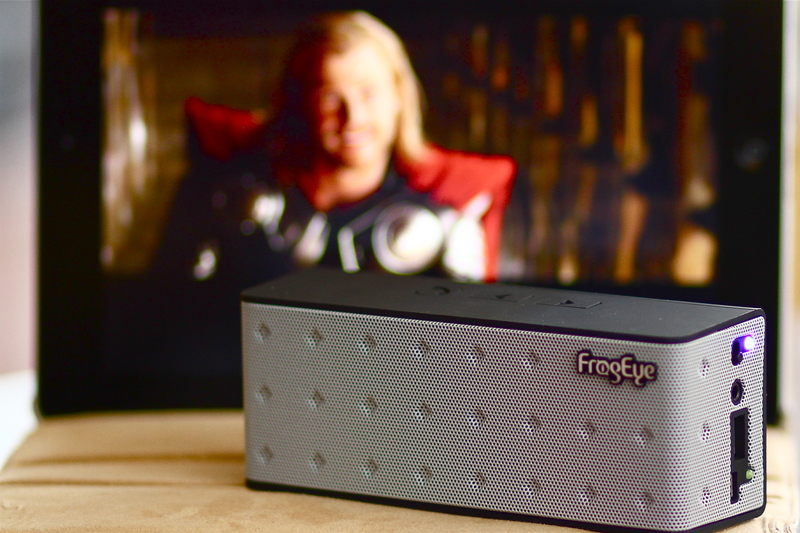 FrogEye has provided me with these complimentary speakers for the purpose of a review. While it has NOT influenced this review, I believe in full disclosure.